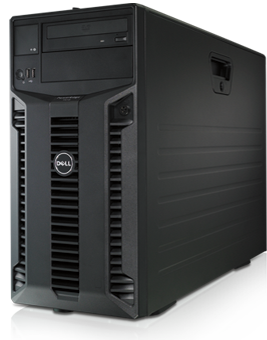 Whether you are a large or small company we can spec, install and support the latest servers. Dell™ PowerEdge™ servers are built to support the work that IT organizations do. They are engineered to handle the most demanding business applications and designed with specific features to better run workloads like HPC, collaboration, database, ERP, business intelligence and data warehousing. As the foundation for a complete, adaptive IT solution, Dell PowerEdge servers deliver dramatic performance and management advantages that more effectively and efficiently power the business applications our customers run most. Combined with the innovative OpenManage™ systems management portfolio and industry-leading workload solutions, PowerEdge servers provide technology that is intelligent, yet simple, giving you the power to do more in even the most complex environments. Dell provides a complete tower server portfolio with a wide choice of performance and functionality, providing you with a solid foundation to run your businesses and organizations. The PowerEdge tower servers are designed to deliver high quality and reliability at a consistently low acquisition cost with exceptional price for performance. Dell provides a complete portfolio of 1-, 2- and 4-socket rack servers designed to reduce complexity and deliver superior value. PowerEdge rack servers feature excellent performance and functionality and outstanding reliability. Entry level servers are generally available in either a rack]mount or tower form. If this is the first server for the company, you probably won’t have a suitable server rack already in place, and for a single server, adding that rack may not be cost effective. Thus, a tower server is likely to be the best option. Many tower servers can later be converted to rack mount servers with the appropriate conversion kit, so if your infrastructure grows to the point where a rack is required, your existing investment can be modified to fit your needs. 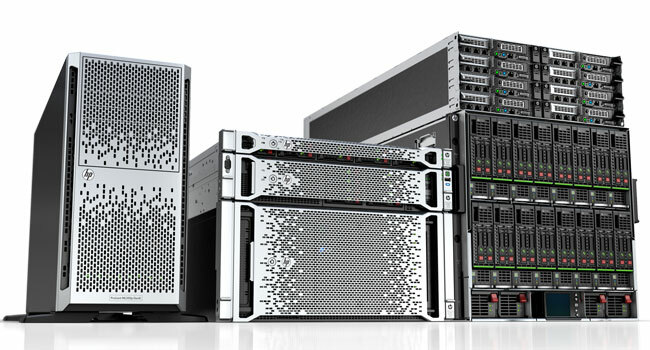 Customer inspired, HP ProLiant servers are unlike anything else in the market. HP ProLiant Gen8 servers include over 150 design innovations that allow administrators to increase application performance, and free up resources to focus on business innovation. Powered by HP ProActive Insight architecture, the new servers constantly analyse over a thousand system parameters to get the best application performance and proactively improve uptime—all while providing actionable insight into every aspect of your IT infrastructure.